I actually wrote this as a guest post for Amy, but quite liked how the photos so decided to share it with you guys on here too! 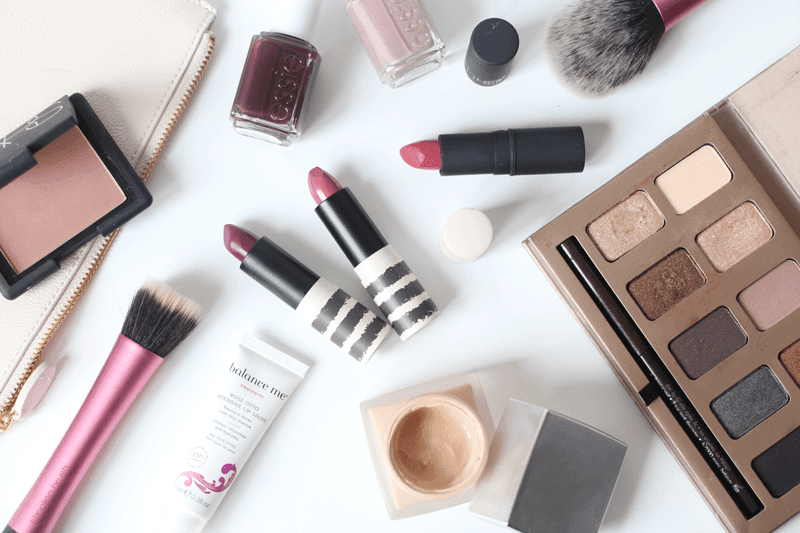 I thought I’d run through my favourite Autumn makeup picks. After all, it’s already half way through September so you officially have permission to crack out the berry lips! A lot may opt for a more matte look in winter, but try my hardest to keep the glow alive in my skin as colder air can make it appear more dull. I love the RMK Creamy Foundation for this, as it gives a natural finish yet the medium coverage means it’ll stay put even on the chilliest of days. On my cheeks, I would opt for NARS Blush in Douceur, as it’s the prettiest dusky peach (is that even a thing?) and adds a bit of warmth to the skin! I love using the Stila In The Light Palette in Autumn as the gold and warm shades look beautiful when dusted over the lids or built up into a smokey eye. The shadows themselves and buttery soft and a dream to blend, too! 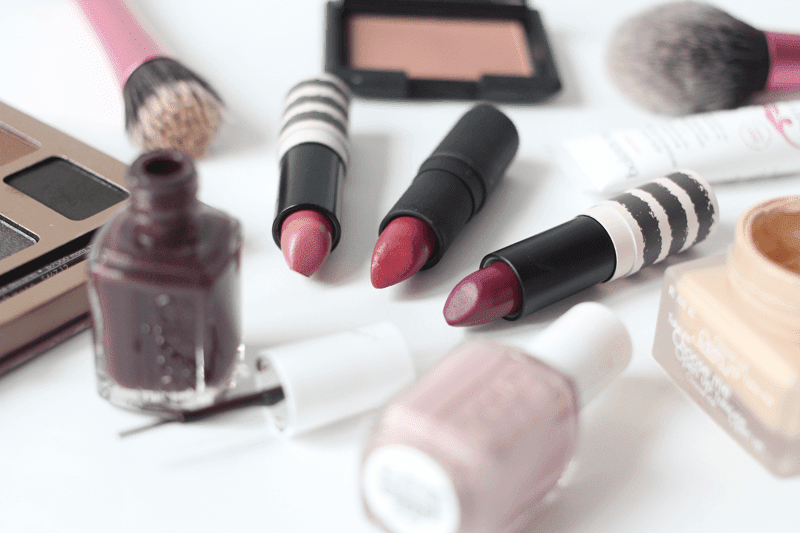 You can’t think of the colder months without thinking of those darker berry and rose shades and the three I’ve picked are no exception. It’s no secret that I love these shades so Topshop Lipstick in Beatnik (a dusty rose) and Topshop Lipstick in The Damned (a good MAC Rebel dupe!) were obvious choices. I added the amazing Lipstick Queen in Rose Sinner in there too, as it makes for the perfect rose/raspberry bold lip. Finally, I had to include some Essie as they’re my favourite nail polish brand. Essie Carry On is the most perfect dark plum, which makes a chic alternative to black and looks amazing with gold makeup. Essie Lady Like is a lighter dusty mauve-pink and looks so pretty on the nails – think girly but more sophisticated! So, that’s all the makeup (and polish) I’ll be adorning throughout this A/W – what will you be wearing? ps. Please take a peek at my eBay here and here (yes, two accounts, silly selling limit) as I’ve popped a few things on there. If you want anything, email me and I’ll be able to make it cheaper!